Royalty await your arrival and are looking forward to sharing stories and laughter with you, so be sure to bring your cameras and autograph books to the Disney Princess Hall of Fame. 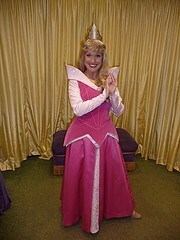 The Disney Princesses are always welcoming and keen to meet budding princes and princesses. 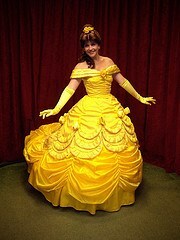 So come join the most elegant and beautiful Princesses in an encounter straight from a fairytale. 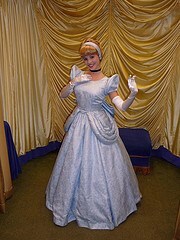 The Princesses can change around from time to time, but normally consist of Aurora, Cinderella and Belle. They are normally in attendance all day, every day. The Hall of Fame is now closed due to the new Fantasyland. To meet you favourite Princesses you can head to Town Square Theater on Main Steet USA.